The John Bunyan Trail at Streatley Walking RouteThe trail starts on the beautiful Chiltern Hills, which are reputed to be John Bunyan's delectable mountains. 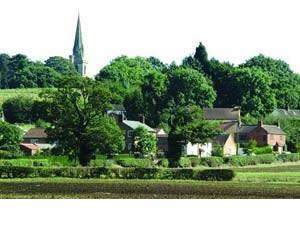 It continues through some of Bedfordshire's most attractive and scenic countryside taking in a variety of nostalgic places, full of interest and intrigue, connected with John Bunyan. Start/Finish Point: Start at Sundon Hills Country Park. Finish at Elstow, near Bedford. Start Nat GR: TL047285. End Nat GR: TL049475. The trail starts on the beautiful Chiltern Hills, which are reputed to be John Bunyan's delectable mountains. It continues through some of Bedfordshire's most attractive and scenic countryside taking in a variety of nostalgic places, full of interest and intrigue, connected with John Bunyan. How to get there by car/Parking: The Sundon Hills Country Park is accessible from the A6, Bedford to Luton road. Follow the signposts from the A6 passing through Streatley and Upper Sundon. Parking is available at the Sundon Hills Country Park but check parking restrictions if leaving your car overnight or longer.